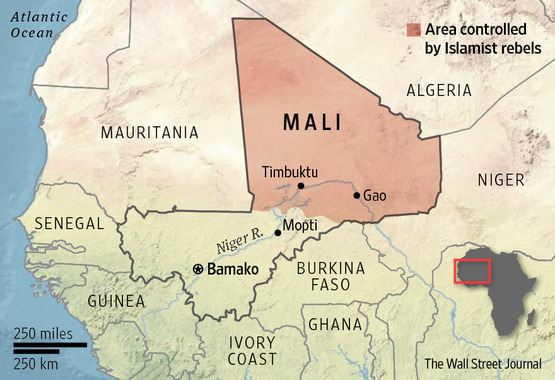 Following a call for help by the Malian government after offensives by Islamists groups in northern Mali, France started engaging in air-strikes on 11 January 2013. The operations are carried out in support of the Malian army, while the deployment of the African-led International Support Mission in Mali (authorized by UNSC Resolution 2085) has been slow moving. Other States have announced they were ready to provide some logistical support (e.g. assistance in the transport of troops and materials). At the same time, ECOWAS announced it will also deploying a number of troops in the area. The French President stated that the intervention was agreed upon with the interim President of Mali and hence was in compliance with international law.